The quotation in the title concerning the powerful underwater beings known also to the Dakota Taku Wakan demonstrates the perils of government bureaucrats attempting to substitute their own judgments about Dakota places of cultural importance for the cultural interpretations of Native people. The statement makes clear the primacy that government officials place on written documents, even in discussing cultural matters about which oral tradition and the testimony of living people has been presented, and it is so full of errors of fact and interpretation that it is difficult to know where to begin in addressing them. When public officials present themselves as arbiters of the meaning of Native beliefs and spiritual practices, the results are unfortunate if not embarrassing for all concerned. The statement about Unktehi is from a National Park Service evaluation of the Traditional Cultural Property (TCP) study (or Ethnographic Resources Study) on Coldwater Spring, located on the former Bureau of Mines-Twin Cities Campus property in Hennepin County, Minnesota. The evaluation was done by Michael J. Evans, a Park Service Senior Cultural Anthropologist, in January 2006. He sent the evaluation to Kim Berns of the Mississippi National River and Recreation Area (MNRRA) in St. Paul, in whose office historian John Anfinson was doing an evaluation of the TCP study. Anfinson, who also exchanged emails with Evans on the topic, is credited by the Park Service with having made the determination that Coldwater Spring was not, as far as the Park Service was concerned, a place of traditional cultural importance to the Dakota, contrary to the findings of the outside consultants who wrote the Ethnographic Study. Dakota people have often described St. Anthony Falls–as well as the ice dams that formed there in winter and sometimes gave way in a massive rush of water–as manifesting the power of Unktehi. William H. Jacoby photograph, ca. 1875, Minnesota Historical Society. The Evans evaluation was included with a series of emails from that time period released by the National Park Service in spring 2010 in response to a Freedom of Information Act (FOIA) request made by MinnesotaHistory.net. To his credit Evans was forthcoming in providing these emails documenting his and others’ participation in evaluating the TCP study. Evans not only included his own and Kim Berns’ emails but some written by John Anfinson, who was then in the midst of responding to the TCP study. Interestingly John Anfinson himself did not produce these same emails in response to the FOIA request. He produced no emails at all showing his communication about the TCP study, despite a FOIA reqeuest for just such documents. In a followup to the Park Service FOIA officer Nene McManus in June 2010, I asked why Anfinson had failed to provide these emails. In response, McManus wrote that she would look into the matter: “I have contacted John Anfinson regarding his emails and will get back to you as soon as I can–he may or may not have kept these.” Six months later there has been no further response. 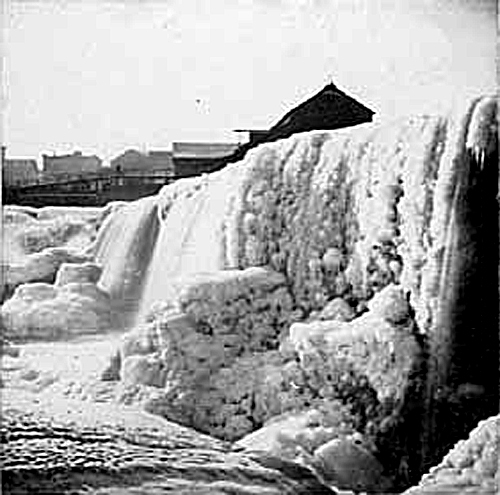 It should be noted that under the National Park Service’s Director’s Order #19, regarding records management, “NPS records in the possession of individual employees are not the personal property of those employees and are to remain accessible to other employees unless restricted by law.” John Anfinson’s records recording his deliberations in reaching the conclusion that Coldwater Spring was not a TCP are part of the record of the EIS process relating to the Coldwater Spring site and should be available to the public. Unktehi – The discussion of this religious being in Dakota cosmology should probably also include the information presented by Walker for the Lakota. In brief, [James R.] Walker’s texts indicate that Unktehi was a malevolent being (but not a spirit being) that was perceived as being dangerous and to be avoided. There is no reference in Walker’s work that Unktehi gave the medicine lodge to the Lakota. While it is to be expected that some cultural differences will be identifiable between present-day Dakota and Lakota peoples due to different experiences each have gone through since the Lakota bands moved from Minnesota to the northern Plains, this difference in cosmology (the Dakota interviewees describing Unktehi as “good;” Walker’s interviewees describing Unktehi as “bad”) deserves some analysis to see whether the difference in beliefs affects the cultural significance of the spring and any proposed management regimes for the area. Almost every word of this confused account about Unktehi requires commentary. 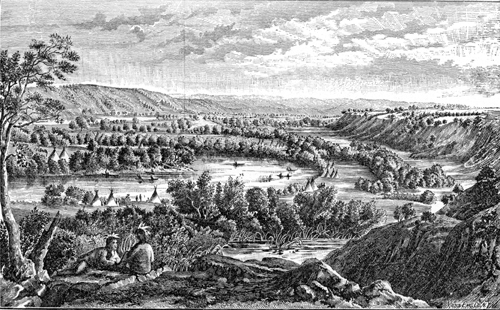 A view of part of Bdote, the mouth of the Minnesota River, looking up the river, an engraving done in the 1880s, based on a water color by Seth Eastman from the 1840s. 1. Why would it be necessary for the Dakota of Minnesota to agree with an ethnographer’s report about the beliefs of the Lakota of South Dakota? Even if the ethnographer’s report is accurate, this is a bit like saying that the Swedes disagree with the Norwegians about something. It is not a surprising assertion, but it provides no evidence about the nature of the subject being discussed. When I push the ice from the waters, then I will appear to you. When I do [this], then the next moon, put the seed in the earth and I will put the seed into the water. So when the ice was on the water, the chief watched it and he saw the Unktehi push it upon the lake and he watched for the Unketehi but he did not see him. In the moon when the grass begins to grow, the Unktehi pushed the ice from the waters and the chief saw him. Then the chief put the seed into the ground (the wamnu, pumpkin, wamnahaza, corn, omnica, beans) and they grew so that there was food in the camp. Ever afterward, when the Unkehi was seen in the lake, the people planted and things grew well. But if the Unktehi was not seen, then the things planted did not grow. So the people made sacrifices to the Unktehi to pleas him that he might appear in this lake. . . The Unktehi planted the seed in the water, (psa, rush; psin wild rice) and he also planted some seed near the waters (psin ca, water turnip; psin cala ca or timpsila, turnip). And he taught that these were good to eat. . . . The form of the Oantayhee, Onkteri, is like that of the ox, and he is covered with a similar coat of hair. His eyes are like the moon in size and his horns he can instantly extend at his pleasure, so that they will reach the sky. This is also true of his tail. Awful destructive powers–wakan powers, are in the horns and tail. There are many of them both male and female, and propagate their kind like animals. The earth is animated by the spirit of the female, while the dwelling place of the of the male is in the water. It is on this account that the Dakotas address their prayers to the earth as their Grandmother, and the water as their Grandfather. As powerful and terrible might be the power of the Unktehi, as described here, they also had great creative power. The fact is that the Unktehi were key in one of the Dakota creation stories, involving a great flood, and how after that “he then proceeded to institute the much celebrated Medicine or Wakan Dance.” The role of the Unktehi in the Wahpeton Dakota medicine ceremony was also discussed at great length in the classic work of anthropologist Alanson Skinner, Medicine Ceremony of the Menomini, Iowa, Wahpeton Dakota, with Notes on the Ceremony among the Ponca, Bungi Ojibwa, and Potawatomi (available online in pdf form from Google Books). If Park Service experts want to debate Dakota culture with Dakota people, should they not be obligated to acknowledge the evidence of such obvious sources as the invaluable record left by the Ponds and Skinner? If Park Service experts put a premium on written records and respect the written records more than the testimony of Dakota people should they not have looked at such important written sources before drawing their conclusions? To overlook this information provides further evidence of the faulty and self-serving evaluation process carried on in the Park Service bureaucrats about Coldwater Spring. 4. Evans points out that Unktehi was a “being” rather than a “spirit.” It is unclear how this sheds light on whether Coldwater Spring was a TCP or not, but it raises interesting semantic issues. The first Europeans to visit the Dakota were sometimes called wasicun, a word sometimes translated inexactly as “esprits,” in French or “spirits” in English, not to indicate that they were ethereal beings but as a commentary on their amazing technology, which the Dakota viewed as beyond human capabilities. Perhaps “powerful beings with superhuman power” would be a better term. In this very sense the Unketehi were beings with amazing power, manifested through weather events such as floods, or land forms, such as places like Pilot Knob/ Oheyawahi, a hill said to have been produced with an Unketehi plowed into the bank at Bdote, the mouth of the Minnesota River. 5. Despite all the errors in this paragraph, Evans ends on a good note pointing out that the beliefs of the Dakota about Unktehi should be considered in relation to “any proposed management regimes for the area.” This excellent point was ignored by Anfinson or other officials in the Park Service who, having rejected Dakota beliefs about Coldwater Spring ignored its relevance for ownership or management of the site. 6. What happens when “experts” go beyond the areas of their “expertise”? No expert should ever put himself in a position of arguing with Native people about the meaning of their own beliefs. The fact that it happens in the National Park Service demonstrates a distorted and bureaucratically-based system for dealing with Native cultural resources that is in great need of change. When will the National Park Service acknowledge this problem and act to remedy it? 7. Oh, and by the way, apparently James R. Walker’s work does say that the medicine ceremony came from Unktehi. A fragment entitled “Addresses by Shamans at a Wacipi Wakan,” in Walker’s work Lakota Belief and Ritual (p. 118), stated, simply, “Unktehi gave the Wacipi Wakan.” Oh well, never mind. [Michael J. Evans], Comments on draft ethnography manuscript. The writing style is clear and readable. Maps and charts are clear. The report lacks any description of research methods or a recognizable ethnography research methodology. This is not an example of systematic social science, as called for by the SOW and emphasized at the post-award meeting. “Informal” interviews (p. 5) are not an example of systematic social science. The authors state that the interview questions listed on p. 8-9 “were not asked in a systematic and standardized way. Rather, the questions were on hand to refer to as appropriate.” The questions were supposed to be part of the interviews, so when was it not appropriate to ask them during what was supposed to be an interview as part of the study? This is a major problem with the draft. While the authors claim that the interview questions were used to gather ethnographic data, there is little text in the report that reflects or points to this data. After review of the interview transcripts and notes, many of the interview situations do not appear to have had any of the interview questions asked. This is a major problem with the draft. The lack of a recognizable methodology or the use of a set of research methods commonly found in ethnography research projects, makes it difficult to see how the conclusions outlined in the document were developed. Citing Mike Agar and Penn Handwerker are not sufficient for describing a research methodology or individual research methods. As explained in the post-award meeting, these two books are representative of two ends of a continuum of ethnographic research methods. A standard text is Bernard’s “Research Methods in Anthropology,” but the authors of the report do not appear to have used any of the information or principals discussed by Bernard. The identification of Coldwater Spring as culturally important to Ojibwe people (in an ethnic group sense) is not sufficiently supported by the interview or ethnohistorical data, not withstanding the fundamental problems with the lack of any systematic ethnographic research. I recommend dropping the Ojibwe as an ethnic group from the report and title, and focusing the text on what is actually known about the cultural importance of the site to the Dakota interviewees. The text of the report appears to try and generalize a cultural importance of the spring to all Dakota (and Ojibwe) people. The lack of systematic research does not allow the generalization of a few comments about the spring (many from non-tribal members or even non-Indian individuals) to either a specific tribe or a tribal ethnic group (for example, “all Dakota”). Ethnographic research is commonly structured so that any information and data gathered can be both specifically and generally applied to specific tribal groups or tribal ethnic groups. This study appears not to have done that, hence the validity of the generalizations are questionable. Unktehi – The discussion of this religious being in Dakota cosmology should probably also include the information presented by Walker for the Lakota. In brief, Walker’s texts indicate that Unktehi was a malevolent being (but not a spirit being) that was perceived as being dangerous and to be avoided. There is no reference in Walker’s work that Unktehi gave the medicine lodge to the Lakota. While it is to be expected that some cultural differences will be identifiable between present-day Dakota and Lakota peoples due to different experiences each have gone through since the Lakota bands moved from Minnesota to the northern Plains, this difference in cosmology (the Dakota interviewees describing Unktehi as “good;” Walker’s interviewees describing Unktehi as “bad”) deserves some analysis to see whether the difference in beliefs affects the cultural significance of the spring and any proposed management regimes for the area. Inipi – The discussion of the Inipi or Sweat Lodge does not appear to be relevant, since there is no information presented regarding the Coldwater spring area as being associated with sweat lodge activity or ceremonies. Presumably the authors are trying to draw the implication that sweat lodges may have sometimes used spring water (if available), and since Coldwater Spring is a spring, that people may have used the water for sweat lodges, if they used sweat lodges in the area. There is nothing in this discussion, or the presumed implications, that distinguishes Coldwater Spring from any other spring, or distinguishes presumed activities at Coldwater Spring from similar activities that have occurred in other places. P. 7 – “official and unofficial representatives” – There is no such category as an “unofficial representative.” Official tribal representatives speak on behalf of their tribe, which is why the tribal governments are asked to identify tribal members to serve as tribal representatives. Tribal members who are not official tribal representatives are often interviewed when they are identified by their tribal government or other tribal members as knowledgeable on the subject being discussed. In research methods terms, these individuals would be “key cultural experts.” An article in American Anthropologist by Romney discussed one way of identifying key cultural experts (and how many people would be needed in order to have confidence that a subject would be adequately covered) through consensus modeling. p.35 — I question whether a state of overgeneralization, or a stretching of statements beyond what the data will support is occurring. For example: on page 35, the statement is made “Pike’s 1805 treaty was cited frequently during interviews with both Dakota and Ojibwe tribal members.. .”.Because of the lack of any systematic interviewing, it would be meaningless to quantify what “frequently” refers to. However, given that only about 11 interviews were conducted, what does “frequently” mean? Of the interviews provided for subsequent perusal, only a couple were with Ojibwe interviewee’s, so how many times did Pike’s treaty actually arise during the course of an interview? Treaty rights were not deemed important enough to include as a topic in the original set of interview questions, so was the topic mentioned often enough in casual conversation to warrant making it an interview topic, and if so, was everyone asked about it? Is this why Ojibwe interviewees were cited as having “frequently” discussed a Sioux (i.e. Dakota) treaty? p. 36 – Another example of what appears to be overgeneralization occurs on page 36. The sentence reads “… American Indian responses to this undertaking were received from Dakota and Ojibwe representatives, …”. My perusal of the interview data, and statements elsewhere in the report, indicate that only one Ojibwe tribe, and two Ojibwe individuals were included in the study. Who did the individuals represent, the Ojibwe people (a Native American ethnic group), an American Indian tribe, or just themselves? Again, the lack of systematic research, and a tendency to generalize beyond a supportable point with the data that is available, weakens the argument being presented, that Coldwater Spring, specifically, is a culturally important place. p. 53-54 – The discussion of ethnographic resource identification should include some pertinent information: the concept and definitions of ethnographic resources are specific to the National Park Service, found in NPS Management Policies and cultural resource management guidelines used for park management. This discussion should cite the source, the full definition, and indicate that the definition as presented in the management policies of the NPS only applies to NPS-owned land. “traditionally associated peoples—may include park neighbors, traditional residents, and former residents who remain attached to a park area despite having relocated. For purposes of these Management Policies, social/cultural entities such as tribes, communities, and kinship units are “traditionally associated” with a particular park when (1) the entity regards park resources as essential to its development and continued identity as a culturally distinct people; (2) the association has endured for at least two generations (40 years); and (3) the association began prior to establishment of the park. On and after August 11,1978, it shall be the policy of the United States to protect and preserve for American Indians their inherent right of freedom to believe, express, and exercise the traditional) religions of the American Indian, Eskimo, Aleut, and Native Hawaiians, including but not limited to access to sites, use and possession of sacred objects, and the freedom to worship through ceremonials and traditional rites. The President shall direct the various Federal departments, agencies, and other instrumentalities responsible for administering relevant laws to evaluate their policies and procedures in consultation with native traditional religious leaders in order to determine appropriate changes necessary to protect and preserve Native American religious cultural rights and practices. Twelve months after August 11,1978, the President shall report back to Congress the results of his evaluation, including any changes* which were made in administrative policies and procedures, and any recommendations he may have for legislative action. In summary, I think that the authors of the draft report have overstretched their available data, in part due to the lack of a coherent and consistent research methodology and research design. The present report does not reflect a study that is an example of systematic social science. I will be interested to see if the authors have other information that allows them to address the concerns outlined above. Unfortunately, I do not know of any easy way of fixing the problems regarding the lack of systematic research methods or a coherent research methodology, short of redoing the work.